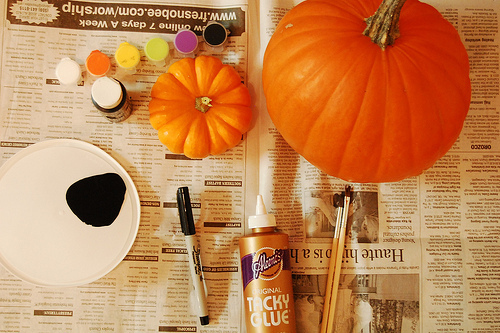 It’s Pumpkin Week — Make DIY Distressed Subway Art Pumpkins! 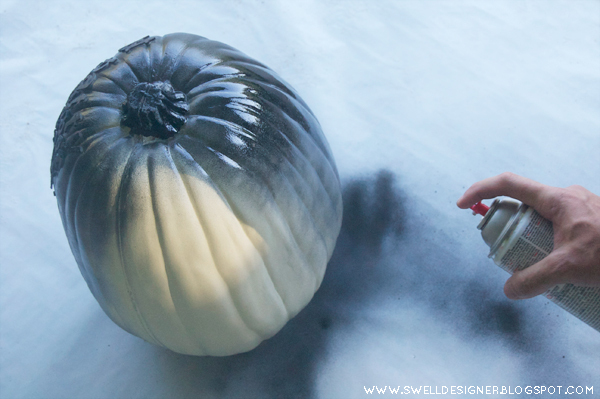 It’s Pumpkin Week — Make DIY Distressed Subway Art Pumpkins!! Hi Tatertots and Jello Readers! 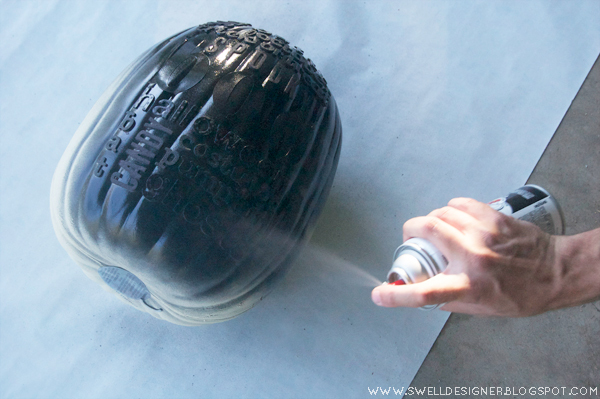 I’m Alexa of The Swell Life and FontCrafts. 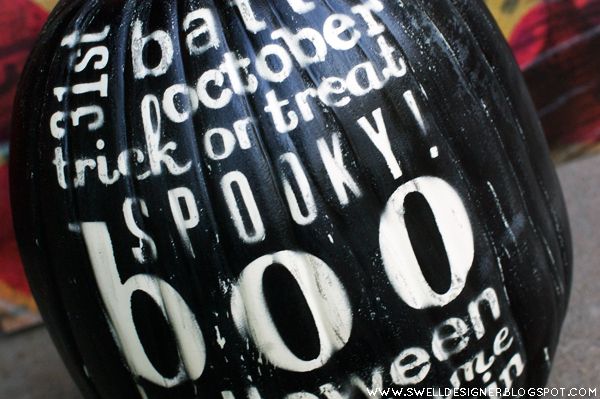 Every year around August through October is when I’m most excited about crafting, because I absolutely love Halloween! My mind is always swirling with new ideas…too bad I don’t have enough time to execute them all! My favorite thing to create during the Halloween season is a good ol’ fashioned pumpkin decorating project! I’ve never really enjoyed carving pumpkins and I like to give them new twists with paint, glitter and glue each year. 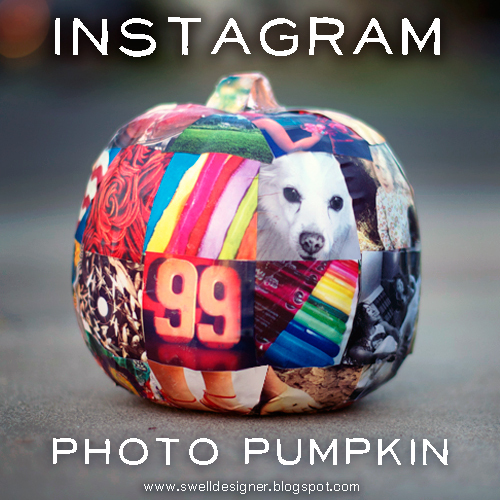 I see a pumpkin just like you would see a plain wall canvas – the opportunities are limitless. 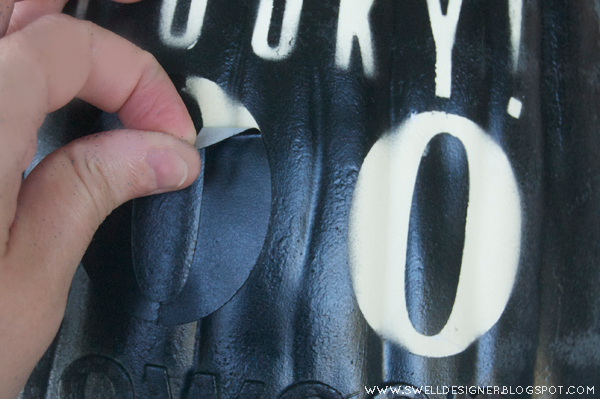 I love to drip, spray paint, puffy paint, fabric wrap, and collage the pumpkin to look like a mini piece of art. 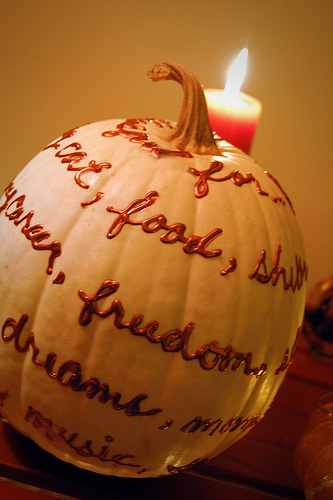 So that’s exactly what I’m going to do today on Jen’s blog – bring you a pumpkin in the style of subway art! I hope you enjoy this project as much as I enjoyed creating it! Let’s get started! Now take a fine grit sandpaper and lightly rub around pumpkin. This will give it a battered/worn look. I even did it over the letters for an added aged look. 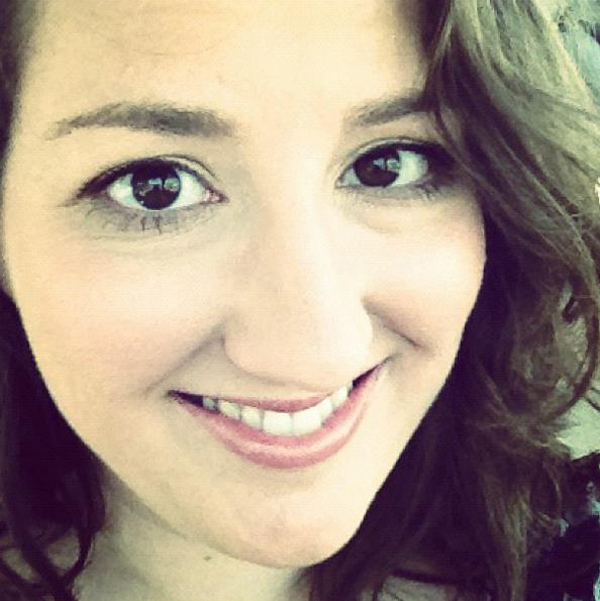 I’d like to thank Jen for giving me the opportunity to post on her blog today! 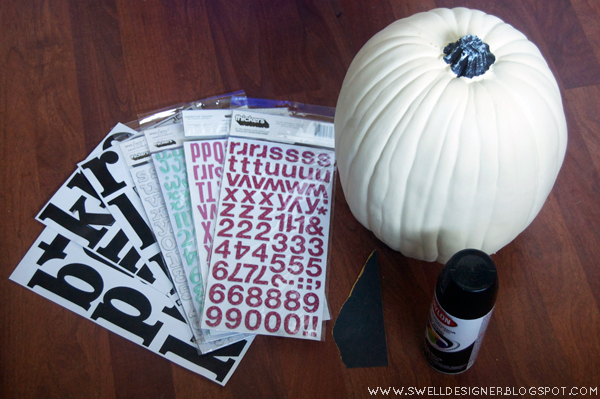 Head on over to my Swell Life blog for more pumpkin projects and Halloween fun. 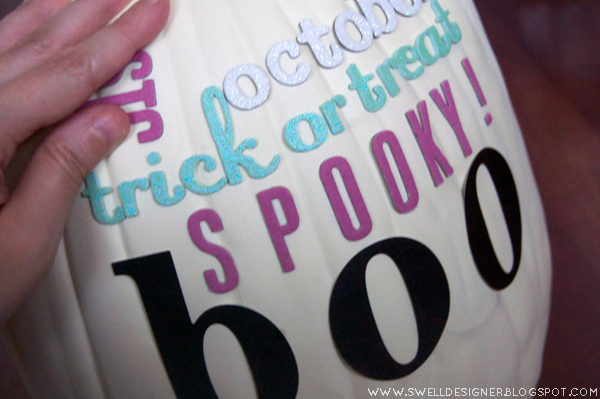 I’m now at 65+ Halloween projects and inspirations! I’ll be at it until the end of October! Have you seen Alexa’s blog — The Swell Life?? When I thought about having PUMPKIN WEEK — I knew I wanted to have Alexa share a pumpkin tutorial. 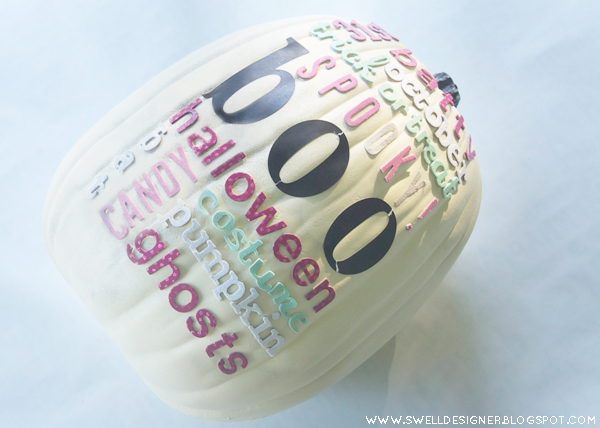 She has so many amazing pumpkin decorating ideas on her blog!! Be sure to visit Alexa over at The Swell Life and say hello! And now it’s YOUR turn!! Link up YOUR pumpkin ideas. They can be ANY type of pumpkin decorating ideas — kids crafts, games, recipes!! It’s my favorite day of the week!! Why?? It’s time to feature YOU! Come over and link up YOUR great ideas. 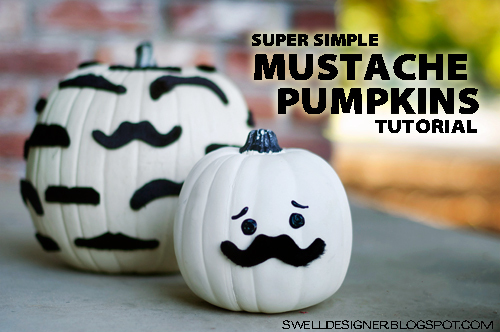 It’s Pumpkin Week — Make No Sew Fabric Pumpkins! 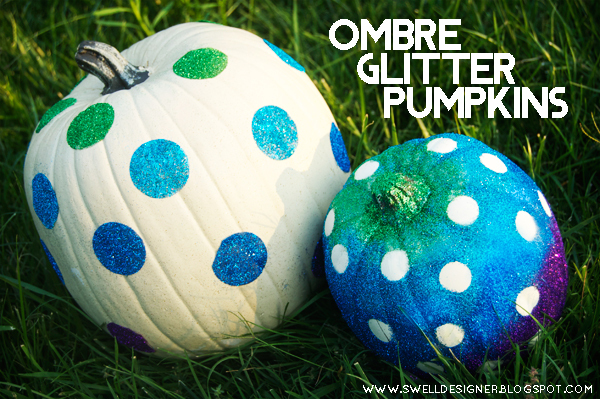 It’s Pumpkin Week — DIY Polka Dot Pumpkins (Tutorial)! 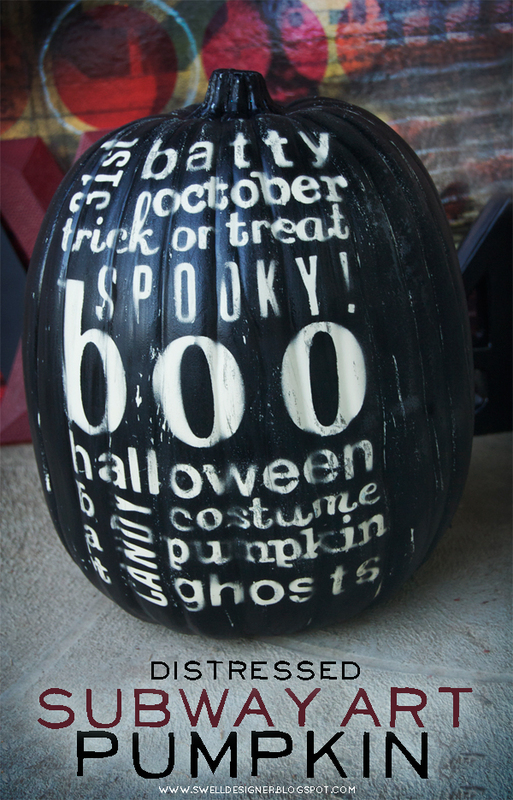 Great Ideas — 27 DIY Happy Halloween Projects! Just wanted to let you know this project will be highlighted on the atplayonline.com blog tomorrow. I love the subway art pumpkin. What a cute idea. Thanks so much for all of the amazing pumpkin ideas this week Jen! 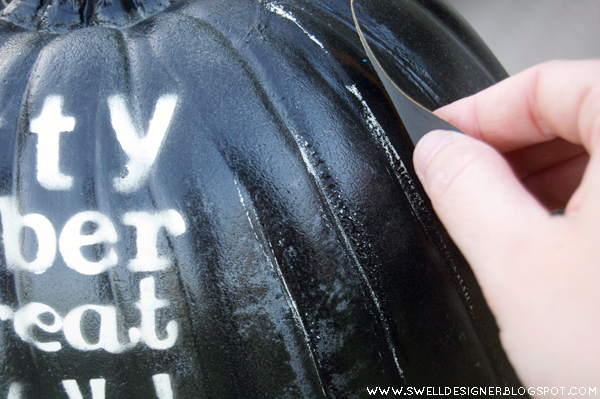 What a fun idea- can’t wait to see all the Pumpkin Idea pour in! Thank you so much for hosting!! Love the subway art pumpkin! I’ll have to come back to see all the projects linked up so I have some ideas when I finally get around to it! Great & easy DIY ideas…Thx!